This smooth cream tackles "Klotho", the new youth protein. The Pistacia oil, the star ingredient of the Phytocéane new anti-aging range, has the exceptional capacity to restore this protein for a densified dermis. Very effective cocktail combining the Pistacia oil and powerful marine ingredients, the Youth Smoothing Cream works to smooth lines, enhance skin elasticity and firmness. Day after day, the skin is toned and visibly more beautiful. SWEET DEAL! 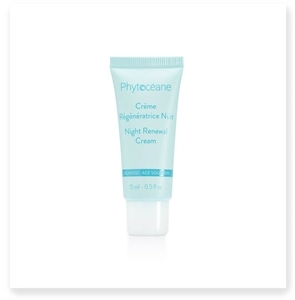 Receive free travel size Night Renewal Cream with purchase of full size! 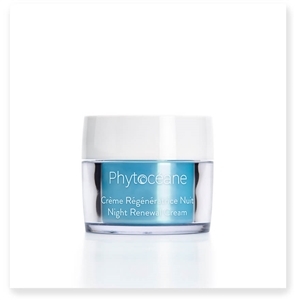 NIGHT RENEWAL CREAM brings comfort and nutrition throughout the night. Its revolutionary formula is enriched with Pistacia Resin Oil, from the Chios Island of Greece. 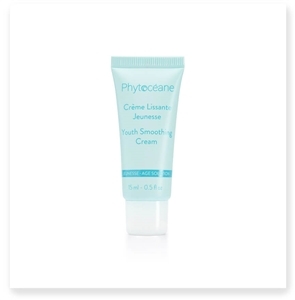 This creamy balm offers all the benefits of organic wakame algae to fight sagging skin. Facial contours look reshaped day after day. Visibly firmer and toned, the skin appears lifted. Non-comedogenic. Night after night features become smoother and the face looks refreshed, younger, and visibly energized and radiant. 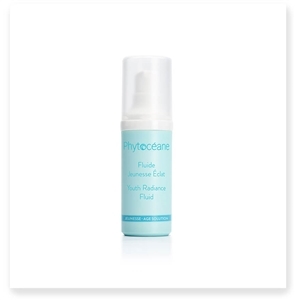 Youth Radiance Fluid is perfect for enhancing the youth and radiance of the skin. The Pistacia Resin Oil, star cross-range ingredient of our new youth line, allows the epidermis to regain firmness and density. Through the action of "radiance" pigments, the skin is luminous from the 1st application.